Discussion in 'General Discussion' started by hank moon, Jun 10, 2013. 1. Odd anchor: found slung on a tree at the top of bare slabs, near the end of the "slot" section, directly above (50' or so) a now-obsolete 2-bolt anchor in the canyon. I recently saw a picture taken at this spot, with a person hanging on a rope that could have been anchored to the "odd anchor". I meant to ask about it, but can't find the picture now. I think it was posted on Bogley. 2. Kevin retrieved this from the hanging pool just above mystery springs. It featured artwork that from a distance looked like a hair-metal band logo, but on closer inspection resolved into a Blackwater logo. Remember them? 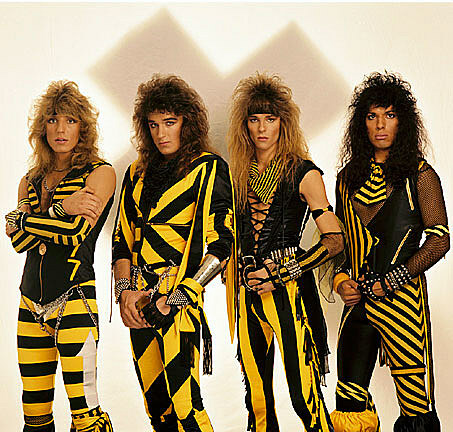 Ok how 'bout STRYPER ? 3. 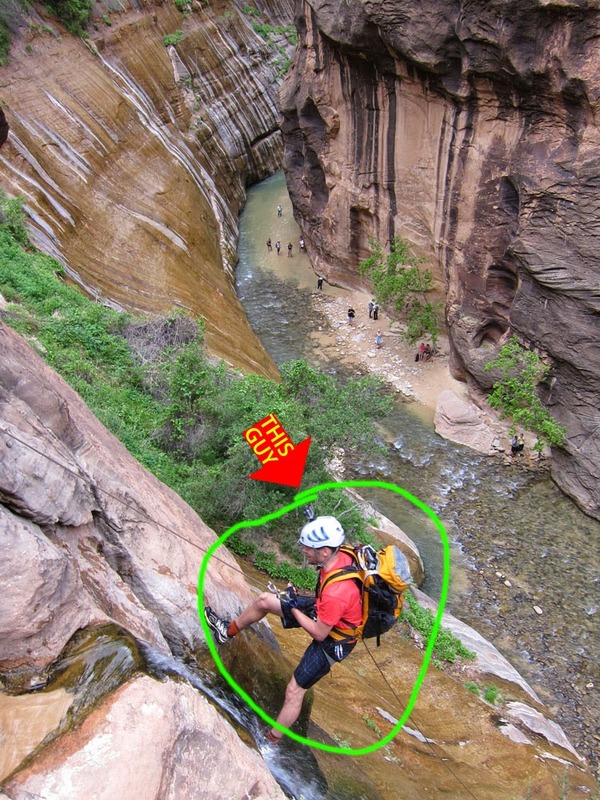 Kevin's carabiner, also fished from the booty pool, dropped from the top of the Mystery Springs rappel by an individual who wishes to remain anonymous. 4. Uh, can't remember where this turned up, but there were no treasure crumbs to be found. 5. More pool booty, original price unknown. 6 & 7. Found at the head of Mystery. 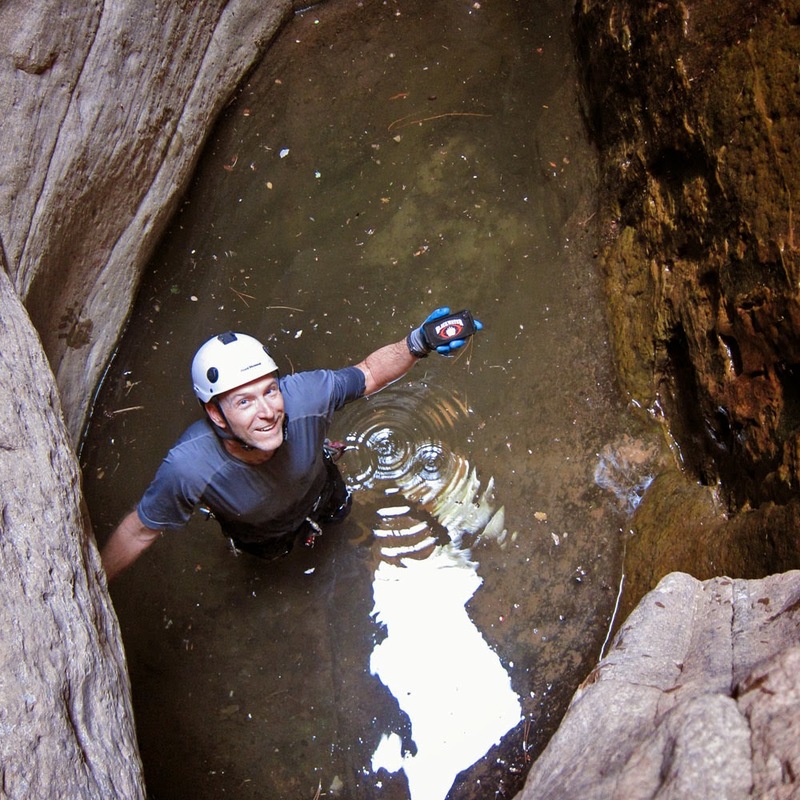 I've heard of the alcohol/energy drink phenom, but didn't know it had spread to canyoneering. FDA alerted. Might be fun to see a trash* and graffiti removal column become a regular feature here. RockGremlin, Tyler, Ram and 5 others like this. Not as organized and labeled as Hank's, but we pulled all this out of Pandora a week ago. oooh. some of that looks re-usable! lucky? dakotabelliston and hank moon like this. Yeah, I love the ATC concept for scrounge-aneering; highly droppable. dakotabelliston and lostlandscapes like this. Ugg, I lost my Gopro in the narrows just below Mystery's last rappel last year..
Not sure how we got SO MUCH. We replaced the 'fixed rope' in the swing-around room with a fresh piece of well-used rope. Ram, Mountaineer and hank moon like this. Smokestack Canyon (only 2 raps in this canyon), August 10. Fat Man Misery this weekend. I was sad to see multiple webbing pieces, and ropes "strung" together in a continued attempt to get closer and closer...to the final drop in the fourth narrows, just before the potholes and confluence. And, it still wasn't close enough, resulting in a lot of rope grooves. Furthermore, the drop is just an easy partner assist down. This is a sling we cut out from Cassidy Arch over memorial Day weekend. We used the Smooth Operator on this drop. fast efficient, no problems. Sheesh, that looks like 11mm or bigger. Yikes! That red rope is some scary stuff...not exactly life-safety rated. Pulled from South Fork of No Mans this past weekend. Ram and hank moon like this. Thanks for doing that, Mountaineer. Good rapide farm! Lots of rapides! Most of this junk was washed down the canyon several hundred yards from the rap points. And found a biner to boot! Ran through the Subway this fall with Courtney and AA, after climbing up SGA. Here is some of the junk we removed - Courtney carried out the other half, and tossed it before I got to the parking lot. Went down the Grand Canyon in September, and only did two short technical canyons, BlackTail and Tatahoysa. I guess word is not out that black webbing is required in the GC. 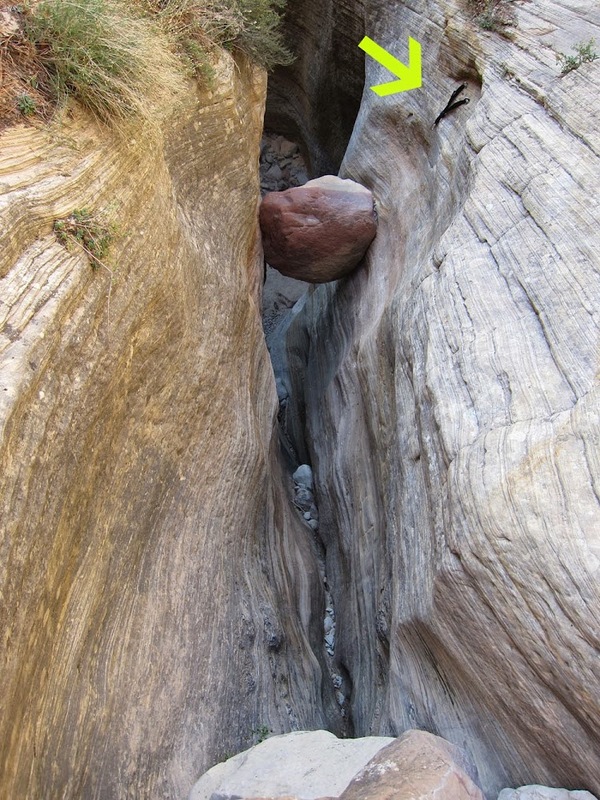 Also surprised to see so much junk in these two short canyons.